The Jan Shrem and Maria Manetti Shrem Museum introduces fee-based workshops where people can experiment with some of the techniques exhibiting artists are using. Faith Sponsler, M.F.A. ’17, leads the first program, “Drawn From Nature": Learn to make natural inks from oak galls and other natural materials. Use these inks to sketch and draw as Sponsler leads you on a ramble through the arboretum. She will share her creative process and encourage you to find yours through a series of experimental drawing prompts. Each participant receives two jars of handmade ink to take home. Bring a picnic. Fee includes all supplies and materials. Ages 16 and up. 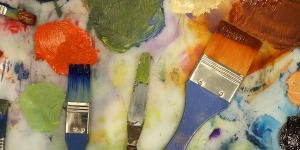 Two other workshops are scheduled this summer: “Cyanotype Lab” (July 28) and “Abstract Responses to Nature” (Aug. 4). See separate listings. If you sign up for all three workshops, you will receive a 10 percent discount. Advance registration is required; call 530-752-8012 from 8:30 a.m. to 5 p.m. Monday through Friday.